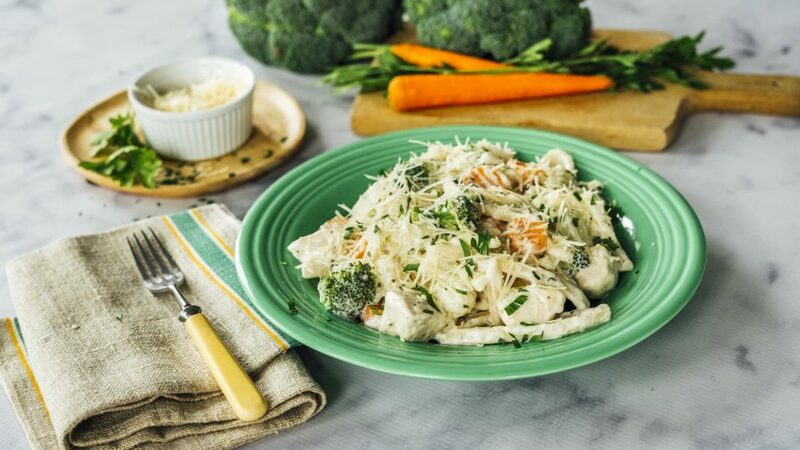 Ranch Chicken Primavera Recipe | What's for Dinner? 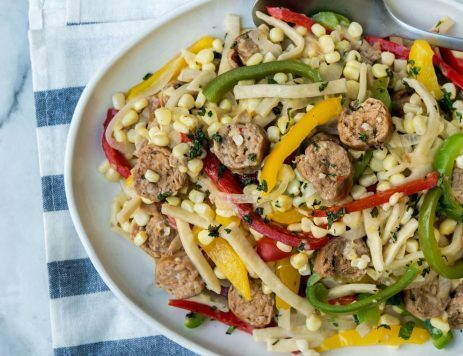 In this easy recipe, Reames® Homestyle Egg Noodles and Marzetti® Classic Ranch Dressing come together for a delicious weeknight dinner. Cook Reames® Homestyle Egg Noodles according to package directions; add frozen vegetables during last 5 minutes of cooking. Drain well. Meanwhile, in a large skillet, heat olive oil over medium-high heat. Add chicken and garlic; cook 8 to 10 minutes or until chicken is cooked through. 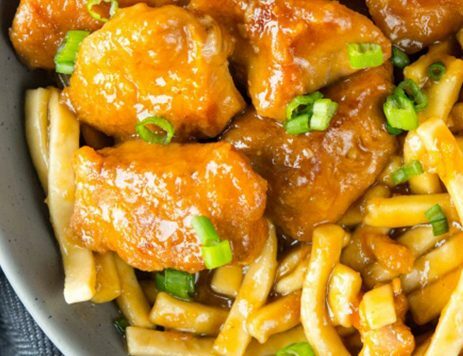 Add noodles and vegetables to chicken mixture. Pour dressing over mixture; stir gently to coat. Simmer over medium-low heat until heated through. Chicken tossed with a little cornstarch and then browned up for a few minutes creates a perfect crispy crust that stands up to slow cooking (seriously! ).